When she was 22, three months after finishing a degree at the University of Vermont, Meg Brickner bought herself a baking business. 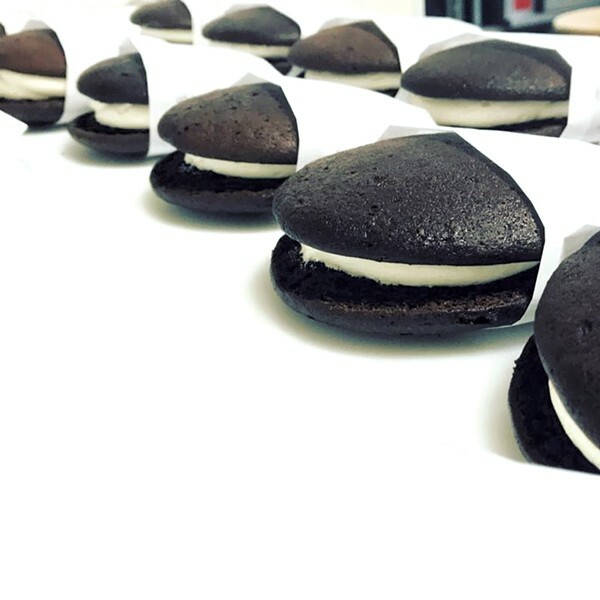 Jen Rose Smith was selling a roving bakery called the Nomadic Oven, complete with recipes for treats such as her decadent pastry-cream-and-fruit-filled Gâteau Basque and best-selling whoopee pies. Now Brickner is ready to pass the torch. Her last day of baking is October 21, and the business is for sale. Fans lamented the loss on Facebook: Bobby Berg called it "heartbreaking," and Claire Graham-Smith wrote, "What will we do now? And I just discovered this wonderful bakery." When she bought Nomadic Oven in 2015, "I didn't want to leave Burlington, and I was looking for opportunities to keep me here," Brickner said. "This just kind of fell in my lap." She built on Rose Smith's legacy, adding recipes of her own. In particular, Brickner noted, she focused on learning to make Russian and Eastern European desserts. "That's my heritage, and I wanted to explore that," she said. Brickner added that whoever buys the business will acquire all of the usual equipment and recipes, plus a coveted spot at the Burlington Farmers Market, which "is no longer accepting nonagricultural vendors," she pointed out. "It's prime market space." The original print version of this article was headlined "Transient Treats"